The nail decoration does not follow standard, so the creativity of women around and each may have its nail art as you wish. And, as if that wasn’t enough, a fingernail can be done in several ways and with different materials. And for you who likes nails decorated, let’s learn one more nail art tutorial in zigzag. 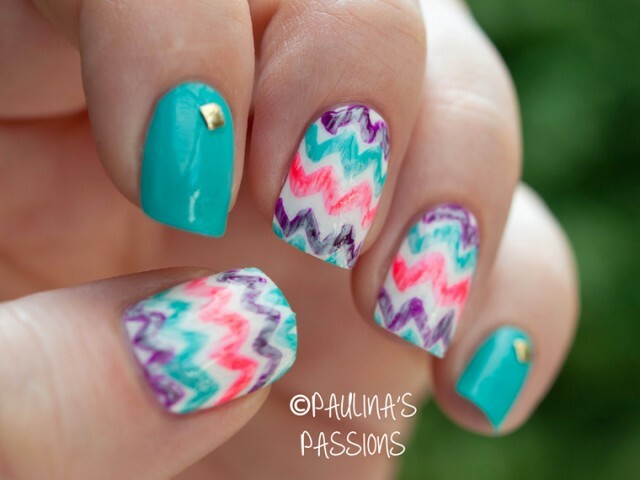 To decorate your nails in zig-zag have: base, Nail Polish white, blue and Brown (or use other colors that you want). Special cutting scissors in zigzag (sells in any stationery store, is cheap) and durex. First of all, take a piece of cellophane tape and paint the durex with the colors Blue and Brown (side by side) or in the color that you want.Wait to dry well, because then you will cut small zigues-you JAG. pass the basis of all the nails and then the white enamel, on how many layers you want and wait to dry. After the glaze on the durex dry, with special scissors, cut pieces of durex in the size you desire and go pasting on the nails. Finish with an extra base brightness. If you want to have less work, can do the zig-zag of nail with a stick even. Is more stripped down, but not as perfect as the shear technique. See an example below. Have: this nail was used the colors Orange, blue and a toothpick. your nail Enamel in two colors.One piece in blue and the other part orange. 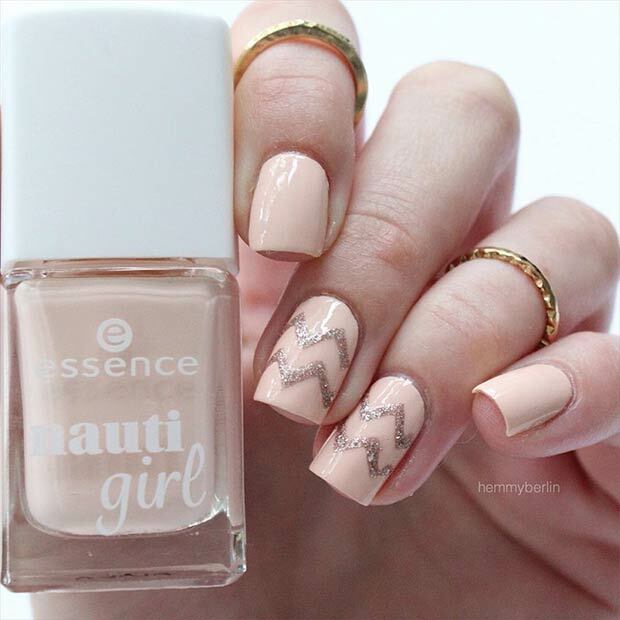 With the glaze still wet, take the straws and make zigzag shapes on the nail, as desired. Ready!Finalize based or extra brightness. Have: base, white, blue and pink nail polish. A sponge to do the downgrade, Scissor cutting especially in zigzag and durex. First of all, prepare the ways to apply the nail, enameling a piece of cellophane tape in the color that you want, because then it will be removed from the nail. Glaze your nails white and wait to dry. cut pieces of zigzag in durex with special scissors and glue on nails. Take a piece of sponge and make two tracks, one in blue and the other in pink. 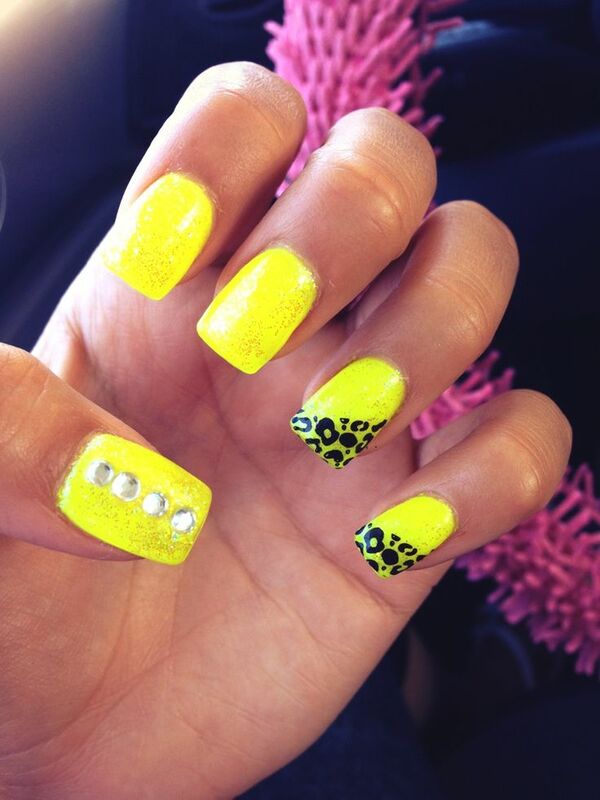 apply the sponge on the nail, pressing lightly, giving light taps right off the gradient on the nail. Once this is done, remove the zigzag cutouts and finish with base.Ready. Take a piece of cellophane tape that covers the nail and fold in half.In the corner of the folded part, cut in the form of “half a heart”.Open the cellophane tape and paste on the nail, be a heart in the middle of the nail. Pass the colors Blue and pink in the sponge and apply the nail. Done that remove the adhesive.Ready, the heart in gradient is done! 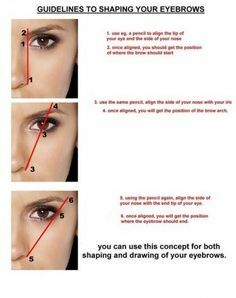 Finish with base. UNIQUE Course – in 17 VIDEOS, for you to become an excellent NAIL DESIGNER and be walking along with the trends in Nails Decorated. 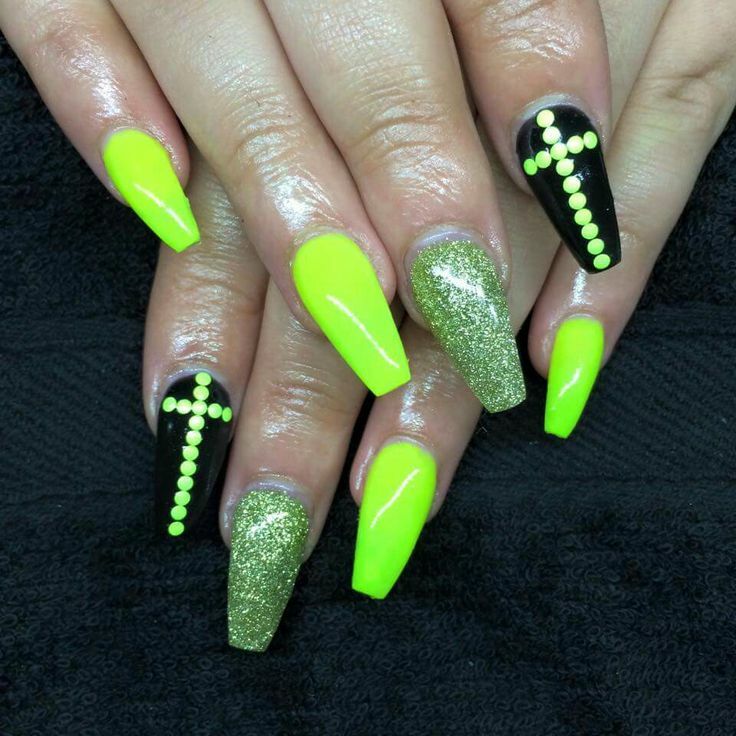 You will learn the steps to make a Nail Designer, since the basic principles of manicuração such as cuticle, Enameling and French, going through stretching techniques of China and Falsie, and finally getting the much-expected Nail Arts, or Nails Decorated, where you will be shown 7 themes and more than 15 Nails Decorated models. * Access to a closed group and exclusive to Students on Facebook. 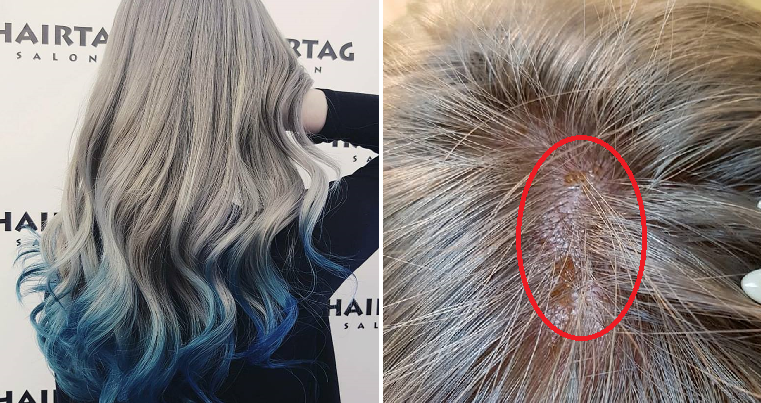 What to Do after You Bleach Your Hair? Wash Your Hair Every Day Spoils the Wires?